Lupins require sunny area and well-drained soil. Seeds to be soaked overnight in lukewarm water to allow the seed coat to be easily penetrated. They can even be chilled in refrigerator a week before planting. 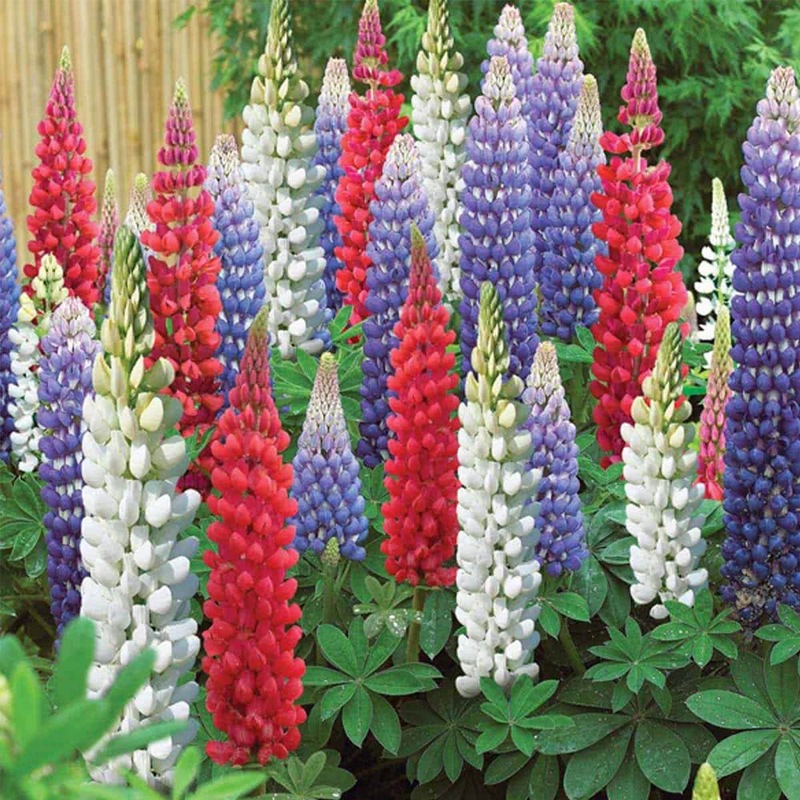 Introduction and Uses: Lupins is an erect plant with deeply lobed foliage. The plants form long flower spikes, growing well above the foliage. This inflorescence bears numerous small pea-like flowers of white, pink and pale blue colors. 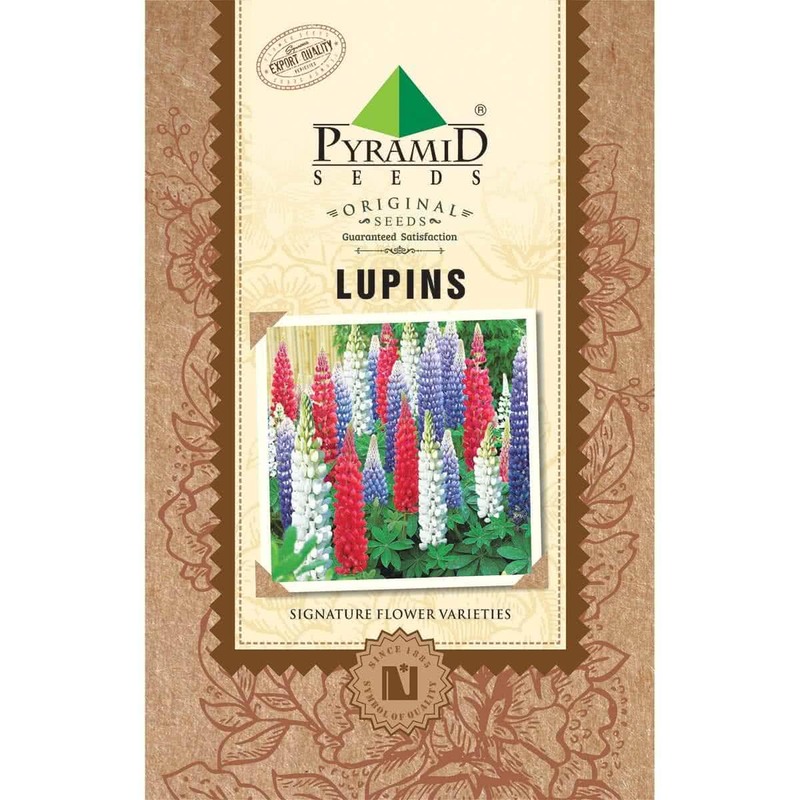 Lupins are best suited for flower beds, borders and as cut flowers. Plants can be grown in pots. Lupins are grown by direct seed sowing in pots, containers, and flower beds. Seeds can be sown from March to June for monsoon flowering, and seeds are best sown from August to October for winter flowering. Seeds should be soaked in water for a few hours before sowing. Sow 2-3 seeds per spot about twice as deep as their length. Planting Distance: 45-60 cm apart. Watering: Lupin plants should be watered every morning with a light shower by using a watering can. Feeding: Fresh compost should be added to soil at the time of planting. Spray liquid cow dung manure with vermicompost every 15 days. Bloom time: Plants take about 3 months to flower after seed sowing. Buy flower seeds online.